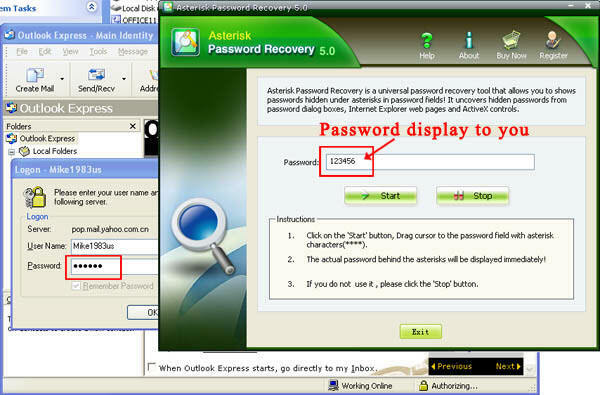 The Guide to Control Asterisk Password Recovery in Less than a Minute. 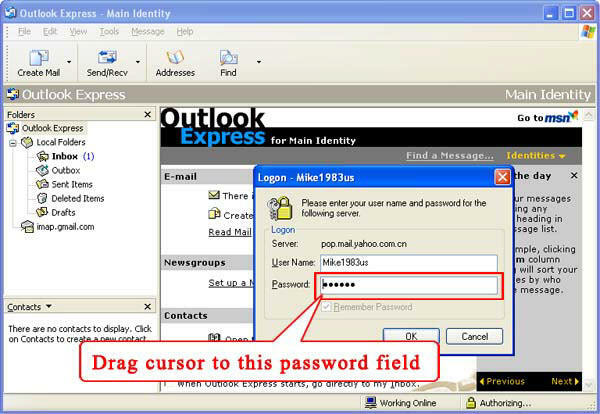 Tips: Below are the steps to show passwords hidden under asterisks in password fields! 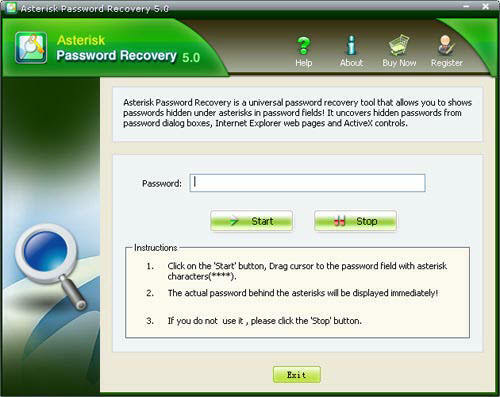 using Asterisk Password Recovery 5.0, To see the detailed information, please refer to the "Help" document integrated in the program. Step 1: Run Asterisk Password Recovery. Step 2: Click on the "Start" button, Drag cursor to the password field with asterisk characters(****). 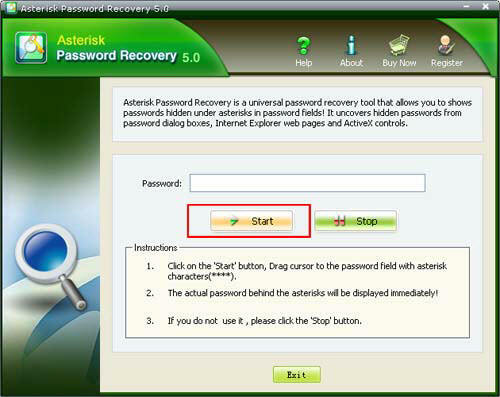 Step 3: The asterisk password in the password field will be displayed in the box.